Follow in Hemingway’s footsteps and experience what he called ‘the closest thing to heaven’: fly fishing in the Spanish Pyrenees. The Spanish Pyrenees contain an astonishing diversity of landscapes. Many present opportunities to flick fluff: high mountain lakes with spectacular views, hidden gorges teaming with zebra and brown trout, and stunning mid-size mountain streams where you will find the biggest trout. 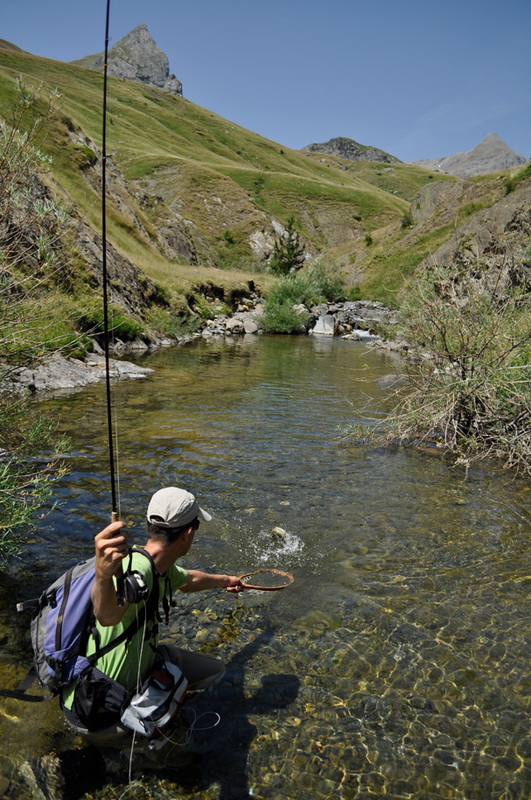 From our carefully chosen and strategically located local accommodation, you will have access to some of the Pyrenees’ best fly fishing in a pristine landscape that is among the most well protect natural areas in Spain. 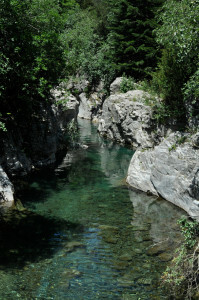 Ordesa National Park, certified as a UNESCO World Heritage Site, has some of the regions most spectacular fishing, and is the base for all our trips. Our local certified guides have access to restricted forest tracks and combine this with years of intimate knowledge of the habitat, insect life and fish to create a unique and exclusive experience of one of the most beautiful parts of Spain. And they can help you master the intricacies of the very different rivers…or help you unfold the mysteries and secrets of just one. It’s all too easy to lose track of time fishing in a heady environment that blends warm sunshine, exotic culture, delicious food and stunning scenery. If fishing in remote, beautiful locations floats your boat, book now. 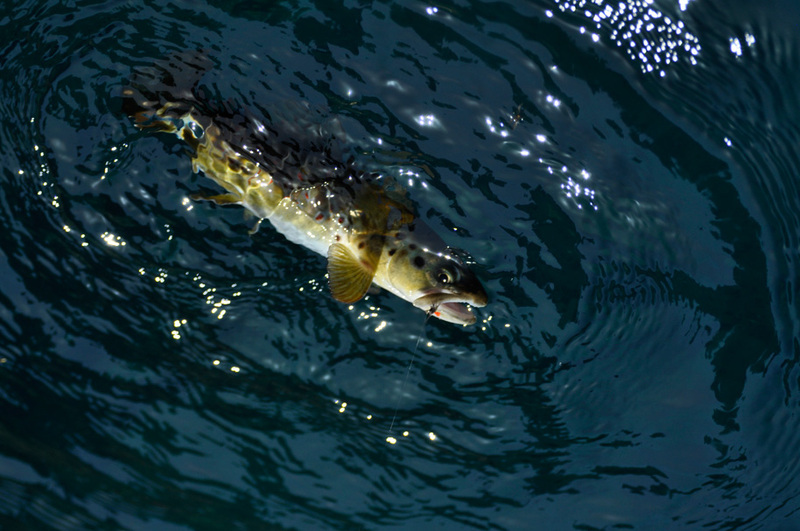 No specific clothing required, however fishing at 2000m can provide very variable conditions. Neutral colours and layers are best. At times, even with the water from snow melt and cold, it can be comfortable to wet wade. We do, however, strongly recommend waders. Polarised sunglasses, and a hat will not only provide protection, but make spotting of fish easier. Due to altitude and potential for bright sunshine we recommend a good high factor sun cream. Mainly floating lines as the majority of fishing will be dry fly. An intermediate or slow sink line however can be useful for some of the mountain lakes. Fishing licences are arranged by Outside Days.